I'm pretty sure these have already been posted a bunch of times. i remeber seeing that a while ago and i was so angry wheni found out they werent real. I mean look at the fortress, it has intricate roof decorations nice building in the back and a giant!!! And look at the real one it doesnt have a roof at all! Although the beards...I'm torn on the beards...they're either really neat or too bulky. This was never released, was it? Someone said they saw the 06 Prototype Vikings.. WHERE?! 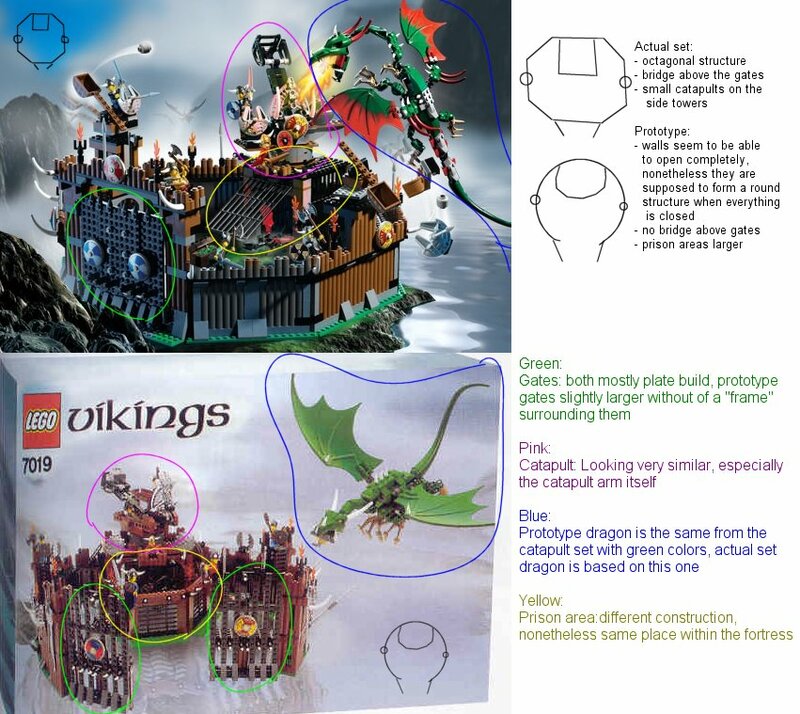 Mr Sam89, are these links to prototypes of upcoming Viking sets? The final sets look much better than the prototypes. If you want some beards for your Vikings, order some custom Dwarf Beards from Redbean. I guess I'll have to moc it myself. is that a giant or a minotaur? it has horns. it would have been a great set, imo. great for army building. but even with the released sets you can get good horde army. you have your wolf riders, dragon riders, and the vikings with catapults and battering rams and etc. the minotaur/giant would have been better than the trolls from the HP series. Furthermore minotaurs are from Greek mythology rather than Norse mythology so it doesn't make much sense to have one in the Viking theme.